Home Blog Is DIRECTV NOW Right for You? Is DIRECTV NOW Right for You? DIRECTV NOW can effectively cut your cable bill significantly and still give you access to the channels and content you need. Cable TV is on the run. The trend towards “cutting the cord,” a term used to refer to the act of canceling cable subscriptions in favor of streaming services, is going strong. Consumers all over the U.S. are looking for alternatives to traditional cable services. One of the newest and most impressive streaming services out there is DIRECTV NOW, which offers a considerable selection of live (yes, this includes sports events) and on-demand programming. DIRECTV NOW is ideal for people looking to save money and still get access to their favorite TV channels. It’s perfect for cord-cutters and college students, people who are price sensitive, and those who are averse to contracts and commitments (there are no contracts). It’s also good for people with a failed credit check since it’s a pay-as-you-go type of service requiring no credit check. Also, if you are unable to get DIRECTV Satellite, DIRECTV NOW would be a great alternative. There are a few cool features that make for an optimized viewing experience. First, you can multi-stream on two devices at the same time. This is good news for households with multiple devices. You can watch a show in the living room while another family member watches in a different room. Also, there is a 72-hour rewind feature that allows you to watch programming that’s already aired (provided that it aired in the last 72 hours). So, if something comes up and you have to miss that important football game, don’t fret. You can go back and watch it at a later time. Another cool feature is the Channel Guide, which allows you to search by show name or network. No more flipping channels to find the right program. You can look for specific shows or networks. The layout and design are intuitive and easy-to-navigate. Customers can choose from a menu of Channel Packages to suit their needs. The basic package starts at $35 per month (the first three months cost only $10 each) and includes over 60 live channels. Bigger packages differ in terms of the number of live channels available. The larger the package, the more live channels you get. Premium programming can be added to any DIRECTV NOW package. Customers can add HBO, Cinemax, and STARZ for an additional cost. Each network comes with a free 7-day trial period before regular pricing kicks in. HBO is an additional $5 per month. With the HBO network, you get access to HBO GO, HBO East, HBO Family East, and HBO Latino. Cinemax is also an additional $5 per month after the free 7-day trial period. The package includes MAX GO and Cinemax East. Starz is a little extra. You still get 7 days free, but the regular price is $8 per month. The package includes STARZ East, STARZ Kids & Family, and STARZ Encore East. Are there perks for people who already use AT&T? Yes. 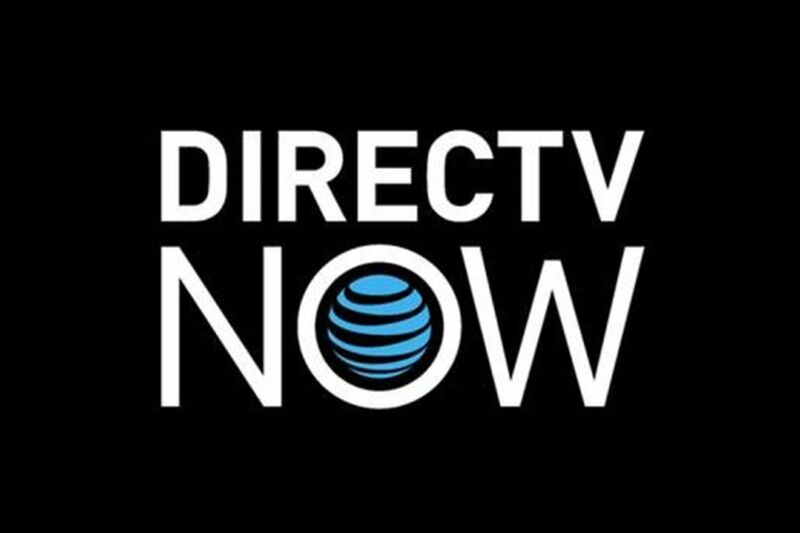 If you already have AT&T as your phone carrier, streaming in the DIRECTV NOW app doesn’t use up cell data. This is kind of a big deal. If you’ve ever had the misfortune of exceeding your data cap, you know what a cool feature this is. You can stream movies on your phone or mobile device and not worry about it eating up your data. Pretty cool! Are there any special deals going on right now? You bet! To start with, the basic package is discounted to $10 per month for the first three months. Since there are no contracts with DIRECTV NOW, this allows customers to test the waters at a relatively inexpensive rate. On top of that, if you pre-pay for three months of DIRECTV NOW, you get a free Apple TV 4K. That’s a $180 value right there. If you pre-pay a month of DIRECTV NOW, you get a free Roku, which is a $50 value. Also, each of the premium programming options (HBO, Cinemax, and STARZ) come with a 7-day free trial period before regular pricing kicks in. You can’t beat that. DIRECTV NOW can effectively cut your cable bill significantly and still give you access to the channels and content you need. In a market where people are trending towards “cutting the cord” and severing ties with their cable TV services, DIRECTV NOW is a great alternative. All you need is a good Internet connection and a device to watch it on. If you need help finding the best Internet deals in your area, our services can help you do that. Simply give us a call and let one of our dedicated customer service agents help you get connected.